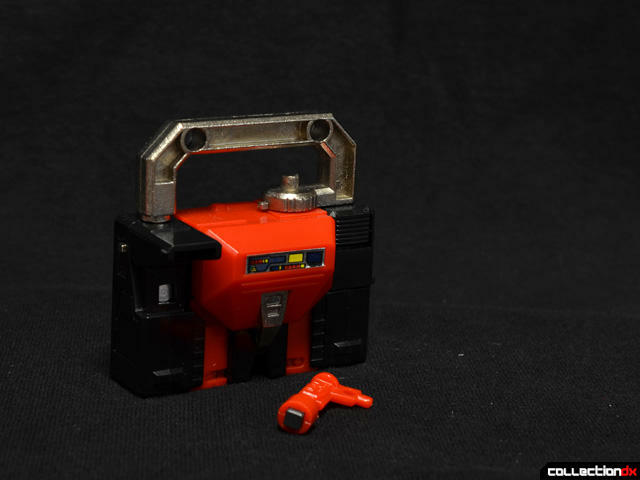 Everybody remembers the late Microman and Microchange lines for things like the Walther P38 and the camera bots that went on to be Transformers, but there were plenty of other great Microchange releases that get much less love. 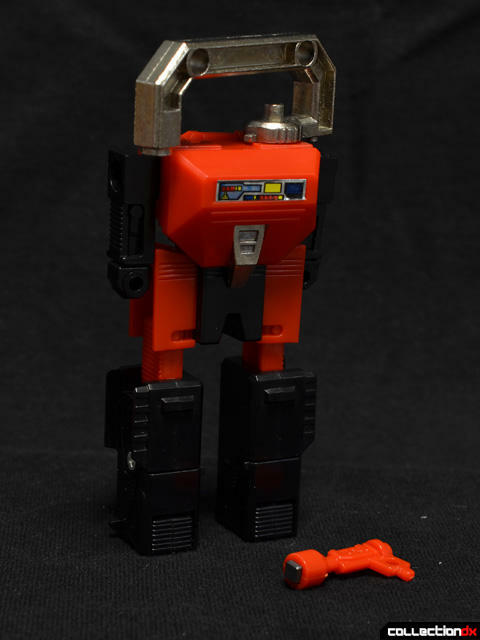 There was a pair of binoculars that turned into a terrible robot, but there were also gems like the Lock Robos, Dial Man and Magne Man. I was fortunate enough to finally get my hands on a Magne Man at this year's East Coast Chogokin Summit, with a little twist. 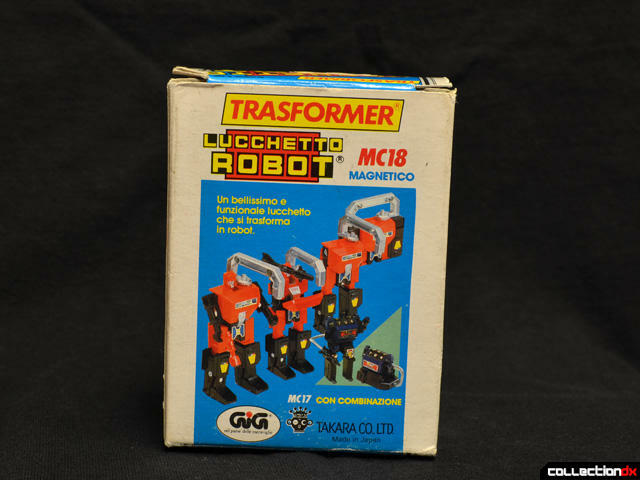 This particular lock bot is actually Lucchetto Robot MC18, released by GIG in Italy. 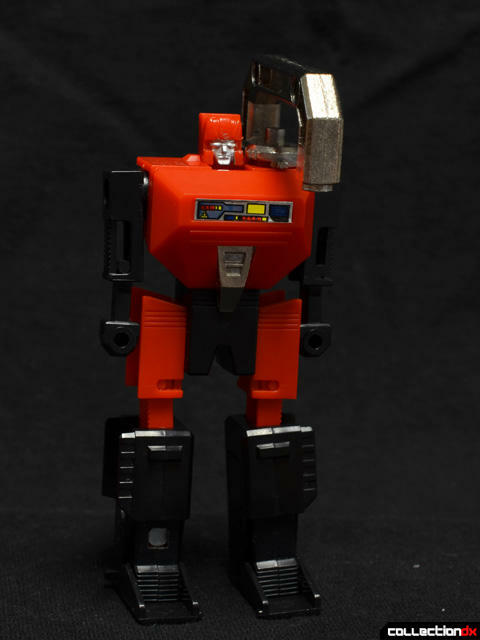 GIG is an Italian company that imported a number of Takara releases with rebranded packaging. 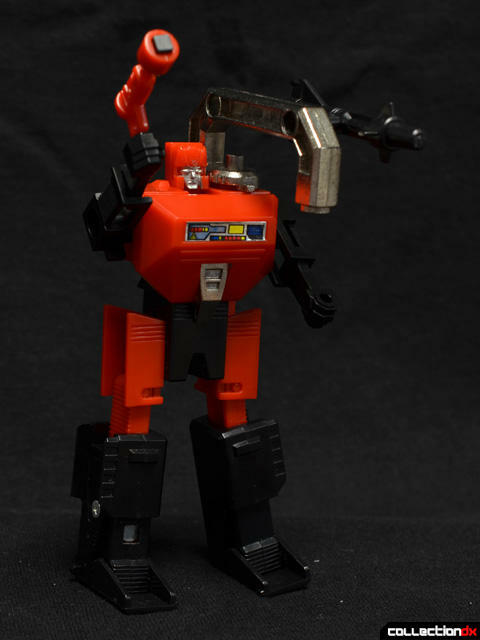 They are infamous for releasing some early Transformers with these ridiculous rubber bopper safety missiles, but they are also responsible for some amazing obscure toys like the Magnemo Black Hole figures styled off of the original Jeeg figure. 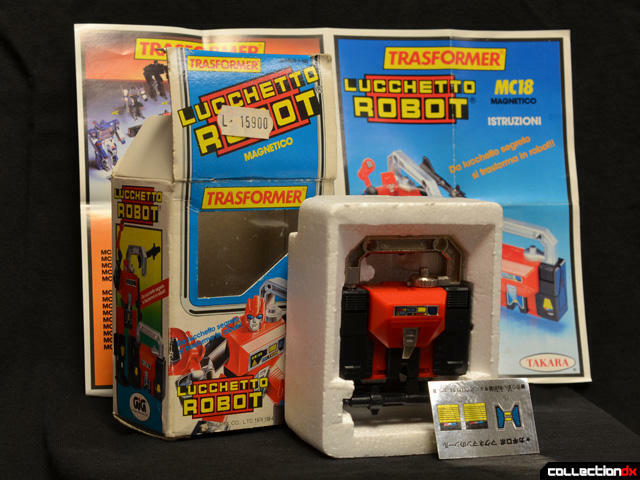 The box for Lucchetto Robot is pretty much identical to the Takara Microchange release, just with GIG branding and Italian language text. The printing is sharp, and the front art is in that gorgeous hand-painted style that you just don't see any more. My specimen is fortunate enough to be complete and minty-fresh. 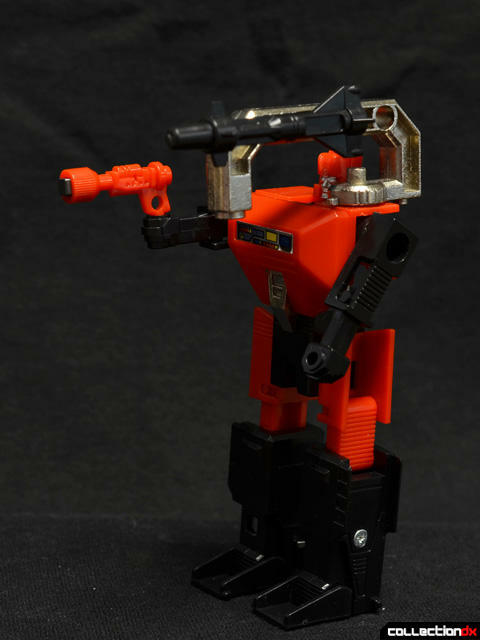 Included are Lucchetto Robot, a small red pistol, a black sprue with two non-firing missiles, a small sticker sheet, and a foldout instruction sheet. 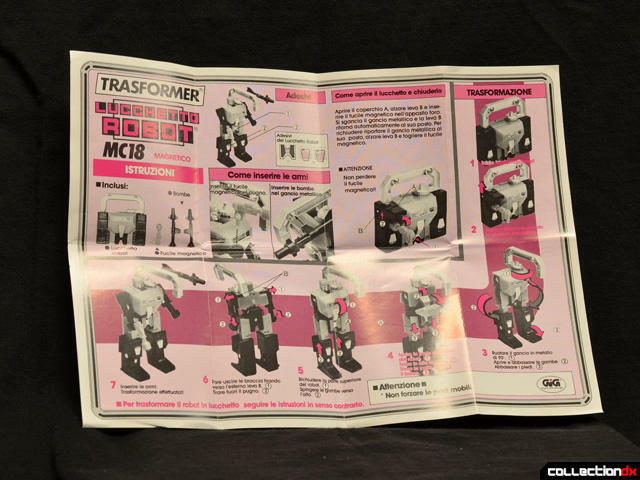 The instructions feature black and white photos and rose-colored printing that reminds me of Hasbro's line-diagram Transformers instructions. 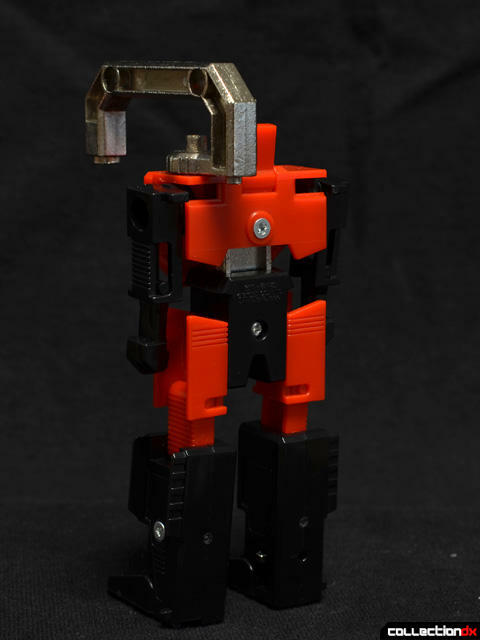 In lock mode, Lucchetto Robot stands not quite three inches tall and features a diecast metal shackle. There's not a ton of gap between the shackle and the body of the lock, and the shackle is square rather than round, so you are probably a bit limited as to what you could lock up with this guy. The exposed screws on the back probably don't make LR too secure of a lock either. The back still says Takara, since GIG simply reboxed the toys. LR's pistol contains a magnet in the barrel that acts as the key. A flap opens on the black part revealing a metal plate that the magnet pulls on. To unlock LR, you push the gun magnet into the hole, and then push up on that little silver tab on the side, which will then slide down, disengaging the lock. 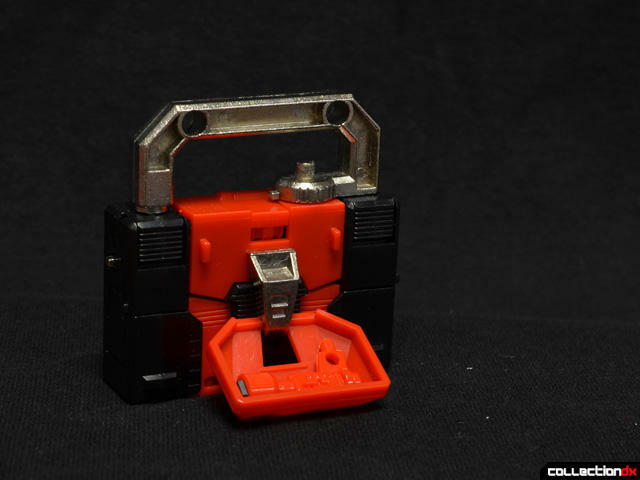 Having to push up for the tab to slide down was a bit confusing without English language directions, but I was impressed that the toy works, magnet and all after all these years. 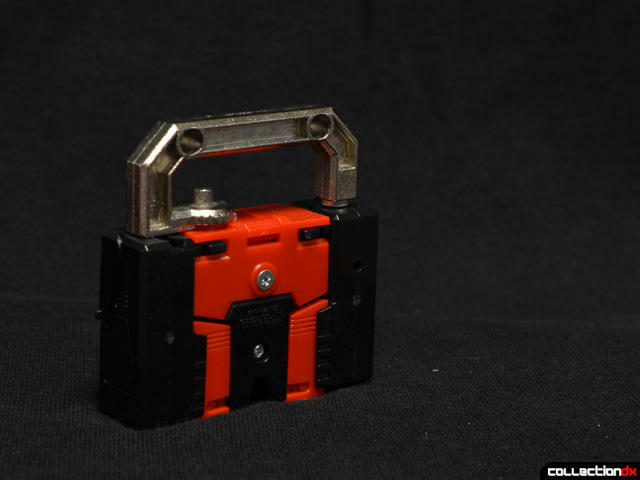 The shackle rotates out to open. To re-lock, simply move the shackle back into place and slide the silver locking tab back up. 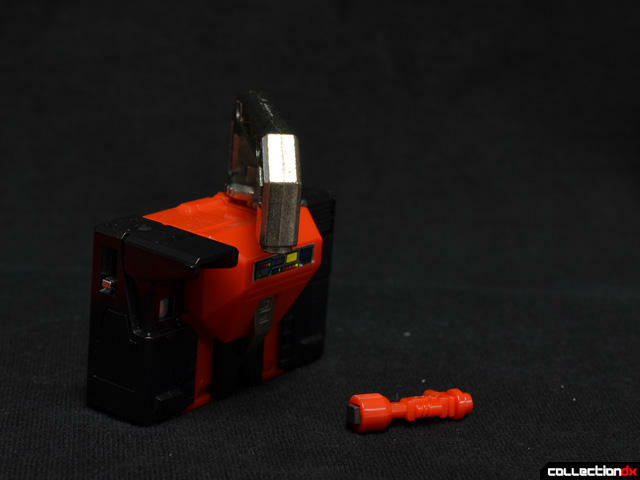 The pistol can store in the foldout chest plate, which is awesome for a toy but terrible from a security standpoint. ...then fold up the head, pull out the forearms, pull out the waist, and flip down the feet. LR has a clean and effective look in robot mode. The red is very vibrant and plays nicely off of the shiny black parts. 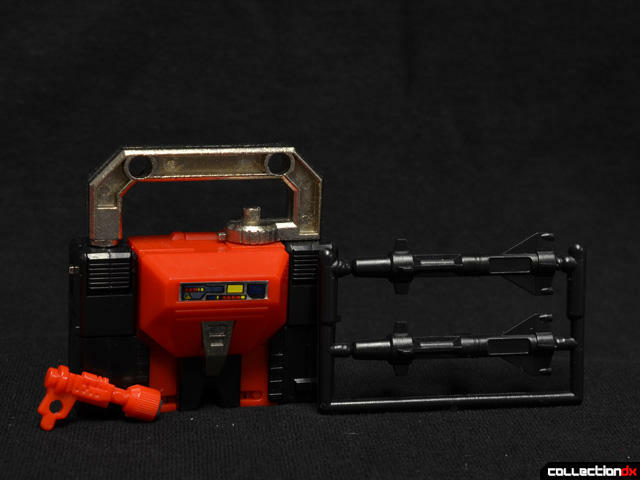 LR comes with two weapons, the previously mentioned pistol/key, and a rocket that attaches to the side of the shackle. You may have noticed both rockets were on the sprue at the beginning of the review. I put on my man pants and de-sprued one just for this review. I have not applied the stickers, though, since I am waiting for a reproduction set from my local sign and label printer. 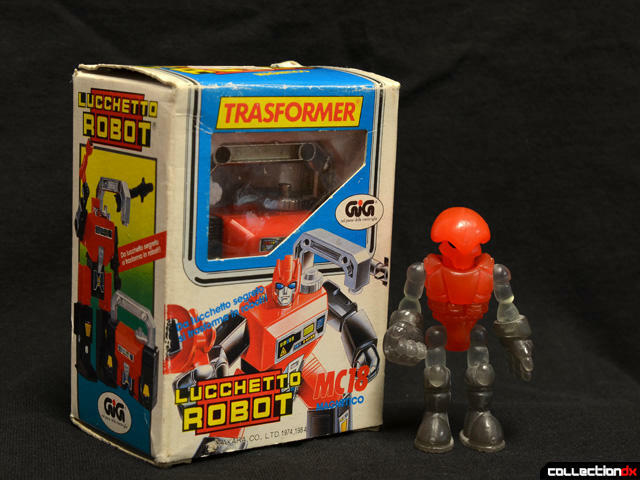 Lucchetta Robot is geared up for combat and pretty fun in robot mode. 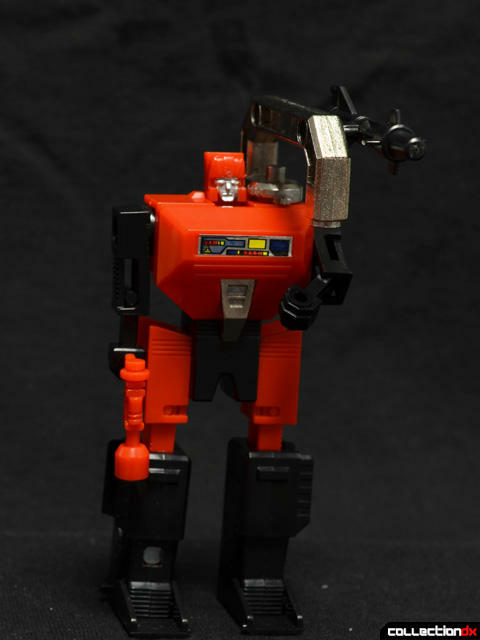 He is articulated at the shoulders, and at the elbows in one direction due to how the transformation mechanism works. That's right, I'm using a transformation joint for figure articulation. 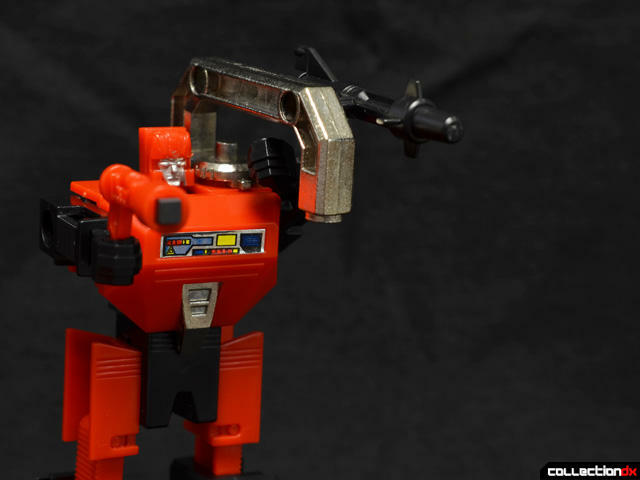 The shackle reminds me of the crane boom that hangs off of one of the Constructicon's shoulders. Fortunately, even though the shackle is all diecast, the figure is not too top-heavy thanks to those big flat feet. One thing I do wish is that the eyes were painted blue like on the packaging art. 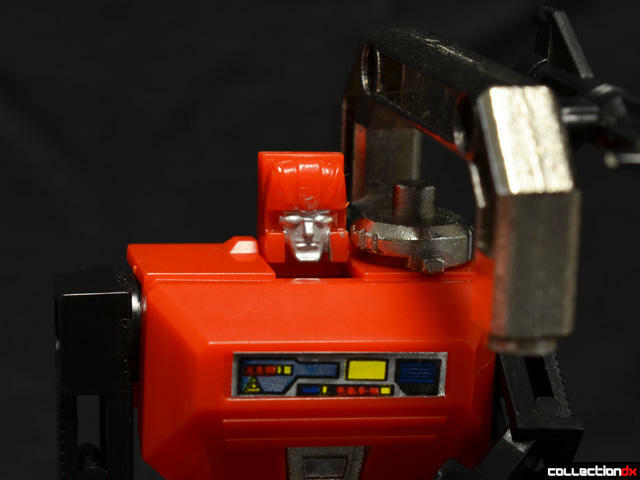 That would have added a little more life to the otherwise pretty basic head sculpt. Past that, LR does not do as much as some of his contemporaries in the line did. Some people may prefer things with chrome and firing missiles, but I find the functional aspect to be far more interesting. If you can find one, he's a fun oddity from the tail end of a line that was trying something novel in an attempt to stay relevant. 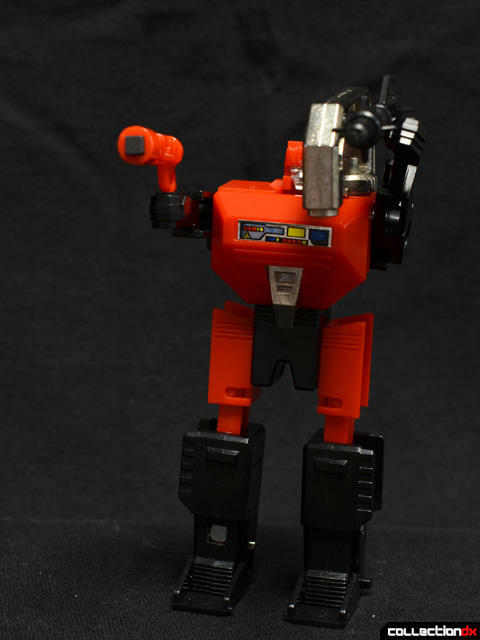 Now to hunt down the dial-mechanism lock robo, Dial Man. I'm so glad someone grabbed this from the summit. I was debating it, but put it back due to other purchases. 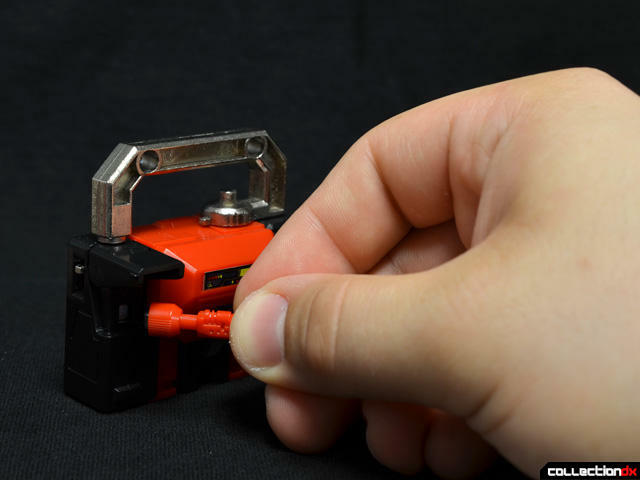 I didn't know these existed and the only lock robots I knew of were Bandai's Lock Robo line.